The Delhi University LLB exam is a university level exam which is conducted once a year for entrance into DU's 3 year LLB program under the Faculty of Law, Delhi University. It is held in the month of June. The application for the DU LLB exam opens in May and goes on till June. Once registered and applied, the candidates will subsequently receive their DU LLB Admit Card which can be downloaded from the official website mid-June onwards. No entry is allowed without the Admit Card/ Hall Pass in the examination hall and hence all candidates should make sure that they carry the same. The prospective candidates should have a graduation degree from University of Delhi or any other Indian or Foreign University as recognized by the University of Delhi. They should have scored a minimum of 50% aggregate score in the chosen subjects (General Category.) For OBC and SC/ST candidates, they should have scored at least 45% 40% of the total marks in aggregate of subjects respectively. As per the recent rules of the Bar Council of India, there is no maximum age limit for applying to DU LLB courses. The DU LLB exam has objective type (MCQs or Multiple Choice Questions) which are to be completed within a time frame of 2 hours carrying a total of 700 marks. Each correct answer carries 4 marks whereas 1 mark will be deducted for every wrong answer. No marks will be awarded for questions that have not been answered. The DU LLB exam is conducted in the English language only. There are 6 test centres across the country in the following cities: Delhi, Bengaluru, Jammu, Kolkata, Nagpur and Varanasi. Total number of seats offered-2310 across 3 participating institutes namely, Campus Law Centre, Law Centre I and Law Centre II. Campus Law Centre and Law Centre I are located in the North Campus of the University of Delhi and the Law Centre II is located in the South Campus. Arithmetic Reasoning and Analytical Abilities - Consists of questions on basic arithmetic covering Algebra, percentage systems, arithmetic and geometric progressions. The Analytical Abilities part covers questions on blood relations, syllogism, critical reasoning and series deduction. General Knowledge and Current Affairs - Covers the highlights of the past year, important events, dates in the current affairs part and also consists of some static GK relating to Indian history, geography and the justice system. English Language and Comprehension - Covers questions on grammar, words, vocabulary, passages (seen and unseen), essay writing and comprehension reading. The DU LLB result is usually declared sometime in the first week of July whereby the candidates can check their respective results online on the official website. For those who prefer offline viewing, the results are also physically displayed on the Admission Notice Board, Faculty of Law, University of Delhi. Counselling for the admission process starts in the last week of July. There are a total of 6 rounds of DU LLB counselling whereby according to the merit list the candidates that have made the cut off list are called for counselling. The candidates are to carry all the required documents to the counselling venue and reach there on time. The admission counselling process is the last step in taking admission under the DU LLB three year law program. As soon as the counselling process is completed, the candidates are allotted seats in the 3-year law program. After seats are allotted, the candidates are required to remit the admission fees and complete all the remaining admission formalities. It important that the candidate prepares for the exam properly since it enables them to take admission in one of the Delhi's highly coveted law schools. The Faculty of Law, University of Delhi is considered to be exceedingly prestigious for pursuing law. If the candidate is taking coaching for the DU LLB exam then they should stick to the timeline as set by the coaching institute. There are numerous coaching institutes in and around Delhi that provide for quality coaching and training. Another important thing that coaching institutes help the candidate is the study material. Many coaching institutes provide for vetted and comprehensive study material for the DU LLB exam which can help the candidate crack the test. There are many books and articles available that help, but the study material provided by coaching centres in often recent and thoroughly vetted is according to the latest syllabus guidelines thus helping the candidate save time by not having to look at different places for the right study material. Thus it is important the candidate chooses a coaching centre which is well known and has a good track record in terms of the previous candidates cracking the DU LLB exam and scoring well. The candidates should be clear with their concepts; they should practice regularly, keep timely goals, keep a track of their progress and revise on a regular basis. They should take ample mock tests and solve as many previous years question papers as they can since it will help them brush up on their skills and find their weaknesses. 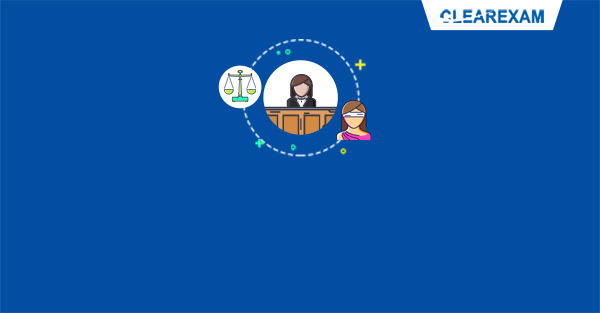 The candidates can use these mock tests to strengthen their weak points and improve their time management so that no question is left unanswered during the actual DU LLB exam. There are a couple of things that the candidate should keep in mind for the exam day. They should make sure that they have read up on all the instructions as would have been mentioned in their Admit Card which has to be downloaded from their website. All the relevant details of the test (time, venue) are mentioned on the admit card. They should reach the test centre on time so that they do not take unnecessary stress. Along with the admit card, they should carry all their requisite documents along with the required photo ID proof as impersonation is considered to be a serious offence and may attract severe punishment. Candidates should not talk to anyone once inside the examination hall as any candidate found following any unfair means will be debarred from appearing in the DU LLB exam. Finally the candidates should be calm and composed before the examination since they have to complete all the questions within a limited time frame. It is important to be positive and focused. A little meditation before the exam will help the candidate calm his/ her nerves and most importantly, they should not worry above their rank or score at all. The candidate should give their best and be confident in their preparation as they know that they have burnt that midnight oil to reach this stage. As long as the candidate has put in the hard work and efforts with all sincerity, the results will show. Need more information about the DU LLB Entrance Exam? The Delhi University LLB exam is a university level exam which is conducted once a year for entrance into DU's 3 year LLB program under the Faculty of Law. Read more.